The fisherman who survived more than a year adrift in the Pacific says several large ships passed him but none tried to rescue him. 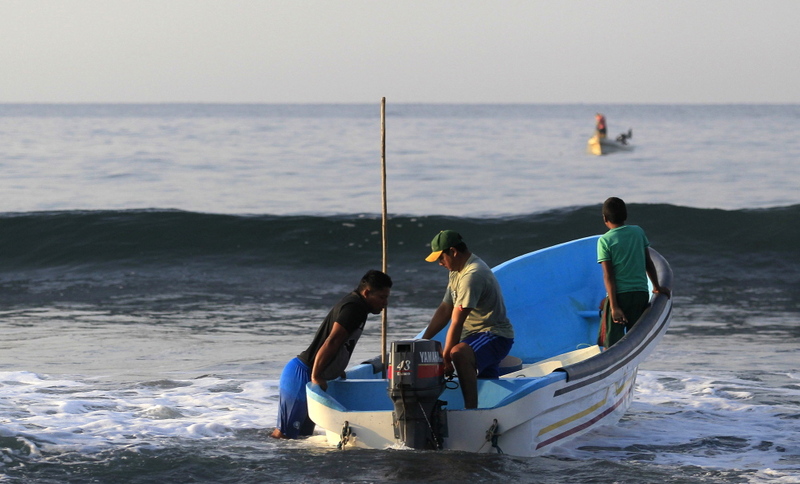 SAN SALVADOR, El Salvador — A fisherman who says he drifted at sea for more than a year, surviving on raw fish, turtles and bird blood, is in stunningly good health but psychologically fragile, medical experts said Wednesday as he recuperated in a hospital in his native El Salvador. 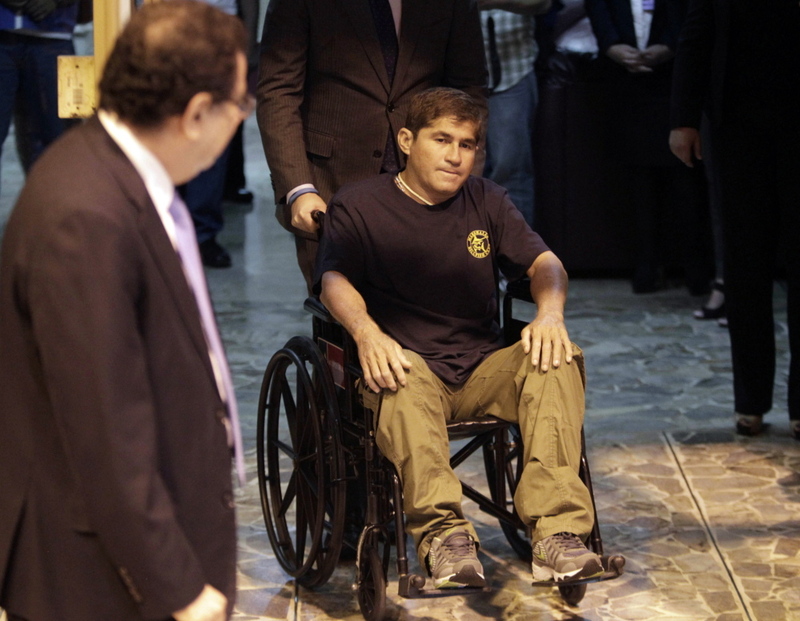 Jose Salvador Alvarenga told doctors he came close to giving up hope of being rescued after several large ships came near his small fishing boat but none tried to rescue him, even though sailors on at least one even waved at him. Although he was close to despair, “his desire to live was greater, he thought of his family and said that he wanted to live,” Rodriguez said. All of the doctors who have seen Alvarenga expressed concern about his mental state, saying he appeared shaken and he asked to be given as much privacy as possible amid an international media furor over his apparent ordeal. Alvarenga underwent a battery of tests after returning home from the Marshall Islands, where he showed up after what he has described as 6,500-mile journey from Mexico across the Pacific that began when his small fishing boat was thrown off course by bad weather. The medical team that examined him at the San Rafael hospital in the Salvadoran capital said he was in remarkably good physical health, with no skin lesions from overexposure to the sun and no cardiovascular or kidney issues. His only physical problem, doctors said, was a case of anemia. “All of the exams have been basically close to normal. It’s incredible,” Rodriguez said. She and other Salvadoran experts who looked at Alvarenga’s results said they had no doubt about the veracity of his tale, which left many skeptical even in the absence of an alternate explanation for his sudden appearance on the Marshall Islands’ Ebon atoll. “He challenges ideas about human physiology that we’ve had for a long time, but miracles exist and I don’t think there’s any reason to doubt him,” hospital director Yeerles Ramirez told reporters. Alvarenga, 37, has asked for tortillas and a pupusa, a thick stuffed corn tortilla that is a Salvadoran specialty, and he has already eaten a tortilla with cheese, Rodriguez said. The fisherman will remain hospitalized for at least two days while he rests and undergoes a series of exams, among them a test of his kidney function, Ramirez told reporters outside the hospital. Alvarenga’s story stunned the world when he washed up on Ebon almost two weeks ago, appearing robust and barely sunburned after more than a year at sea. But he had started out a much larger man, and doctors found that he was swollen and in pain from the ordeal, suffering from dehydration. Cordoba died after about a month when he couldn’t eat the raw fish and turtles, Alvarenga has said.